I love it. 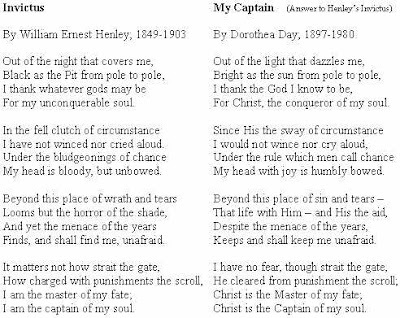 Christ is the Captain of my soul indeed. It reminds me of how I dislike the song, My Way. We need to "answer" that one! I echo your dislike for "My Way".